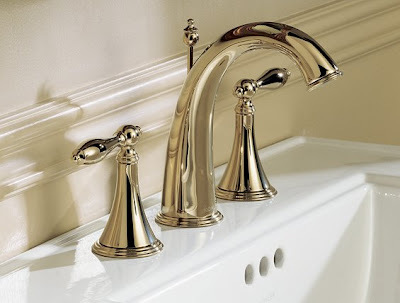 This is a series on faucet finishes I wrote and ran originally in February 2009. I'll be back tomorrow with fresh stuff! Fixtures, fixtures everywhere but what does it mean and what should I pick? Well, what it means is that there are a bunch of manufacturers who make a bunch of finishes and the one you should pick is the one you like. 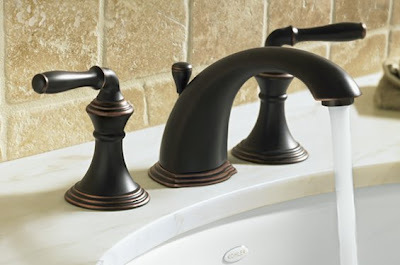 Many thanks to Kohler for all of their help with this series. They make a high quality product at a price point that's a value proposition. 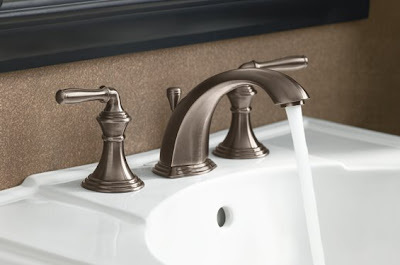 A Kohler faucet is not a faucet you'll be replacing any time soon. They are as sound mechanically as they are beautiful too. I actually have to disagree with you about Kohler. I know they helped you with the post, so I am not trying to step on any toes. I think they do make a good product but only over a certain price point. 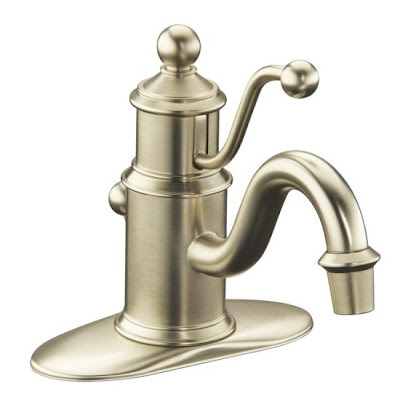 I bought one of the cheaper Kohler kitchen faucets because I liked the look of the handle. Stupid reason, I know, but I my parents have Kohler bath fixtures that are still going strong after 25 years so I figured it would be ok. It is a wrestling match to pull the pull-out out (nice sentence there) because there is a little rubber ring that is constantly popping out of place and making the pull-out stick in the stem. Oh and it randomly leaks if I use the pull-out too much, so that's fun. I'm now looking at a Delta with the touch thing and the magna-tite. 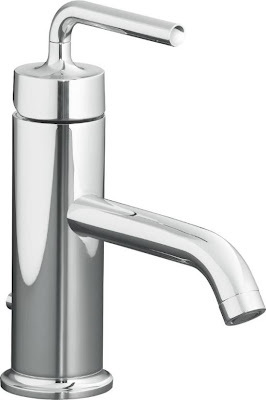 Also Moen - my sister's Moen is 10+ years old and going strong and my mom's older Moen last 20 years and this one is about 15. Phew. Thanks for letting me vent. Oh, you're not stepping on any toes. 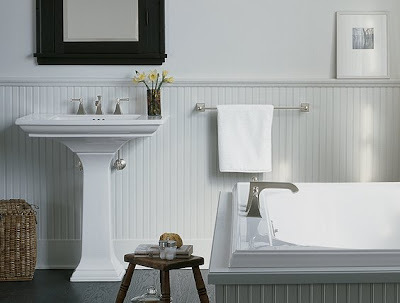 In the time since I put these posts together originally I've had a bit of a change of heart about our pals at Kohler. 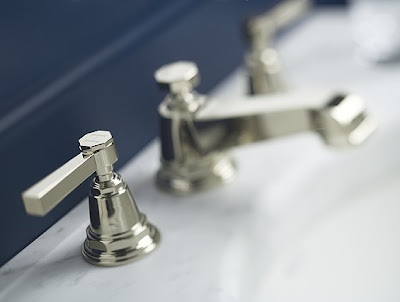 They seem to have lost all interest in anything but their higher-end bath products and into that quality void has stepped Delta, a brand I never used to give a second thought. 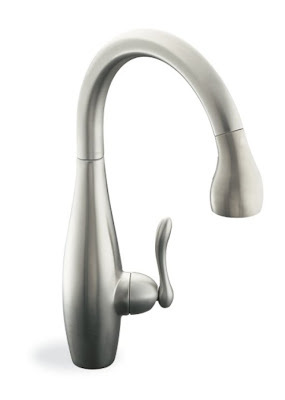 Their Maga-tite pull out sprayers are fantastic and my new default kitchen faucet is the Delta Pilar. I cannot say enough good things about it. Delta has increased their quality to the point where they lead the industry and they've done it while maintaining a consistent, reasonable pricepoint. Well, I really do appreciate all your info on design, new products, etc. And if you are liking Delta, your opinion holds a lot of weight with me. By the way, still haven't fixed my cab doors yet, but there are 5 Medallion Cabinet dealers within 10 miles so the plan is to get that done in the new year. That Medallion warranty is pretty iron clad, go get 'em! I'm glad you found all of this useful and yes, I believe in Delta and that's a phrase I never thought I'd utter.